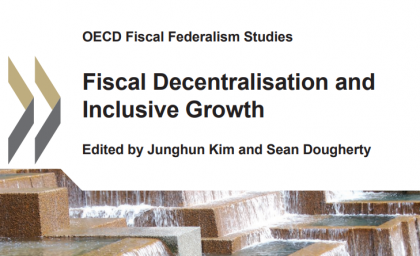 The OECD has recently published a report on ‘Fiscal Decentralization and Inclusive policy growth’. Taking the premise that many countries have slowing productivity growth and rising income inequality the report has researched ways to ensure that economic growth is made inclusive and multidimensional and has found that balanced decentralization - so that various policy functions are decentralized to a similar extent is conducive to growth, as is providing the 'right' incentives and improving rules and practices in policy making. 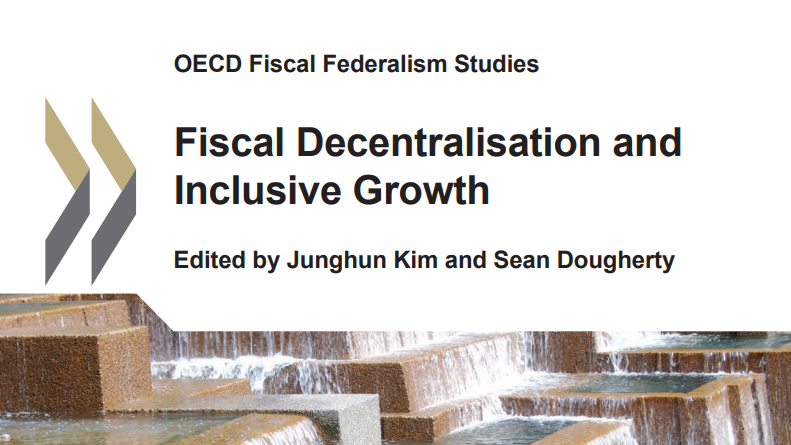 The report, a sequel to ‘Institutions of Intergovernmental Fiscal Relations: Challenge Ahead (OECD and KIPF, 2015) is timely because as its first chapter shows in depth, there hasn’t yet been much serious discussion of the relationship between inclusive growth and fiscal decentralization. Traditionally, much more of the focus has been on the efficiency benefits of fiscal decentralization rather than the potential benefits to inclusive growth. This report takes the form of both cross-country studies and insights into reforms from individual countries, several chapters being written by experts closely involved in both institutional reform and the day-to-day operation of fiscal relations and shows how much the design of policy and institutions matter, even if the reforms don’t see immediate changes. It focuses on a few countries; India, Korea, the Netherlands and the United Kingdom and as such there are plenty of specific policies which come from a wide spread of case studies such as the recommendation to make special purpose transfers more targeted and reduce the overall number in India. There are also more general findings such as the suggestion that policymakers should consider the importance of institutional complementarities. It also finds that spending and revenue decentralization tends to boost economic growth for countries if they have a relatively higher degree of globalization. However, the empirical evidence is uncertain on whether the effect of decentralization was effective on inequality, especially in more open economies, even to the extent that for some countries it appears there is a trade-off between growth and equity when it comes to the optimal degree of spending and revenue decentralization. There is also a potential trade-off between efficiency and inequality which is examined in an analysis of education financing decisions which highlights the link between local education funding and inequality. Happily however, it appears that a range of country specific policies can positively affect the potential tradeoffs. The first three chapters deal with the effect of fiscal decentralization on various thematic areas before moving on to the country specific research and finally rounding off with implications of the report. The whole thing is laid out clearly and precisely and we thoroughly recommend it for any policymakers interested in the potential decentralization may have for them.